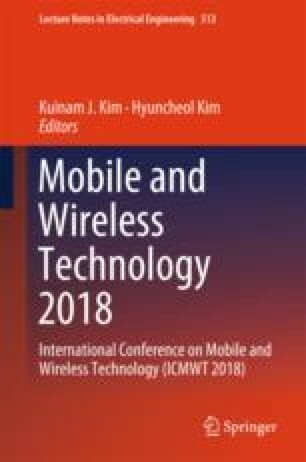 Cooperative Communication refers to a communication framework in Next Generation wireless networks. In this framework, multiple wireless networks provide mutual cooperation, such that, the wireless network user is provided with requested services. The Vertical Handoff is one such technique, which is used in cooperative communication. In this technique, if a client cannot be provided with the requested Quality of Service (QoS), then, the client is migrated from the current wireless network to another available wireless network, which can deliver the requested QoS. To perform this vertical handoff, important parameters such as service cost, data transmission rate, the speed of the mobile device, network latency, the battery level of the mobile device, received signal strength information (RSSI) etc are usually considered. Many vertical handoff techniques in the literature have focused on effective network selection problem, wherein, the most suitable network is searched for performing vertical handoff. The suitability of a network depends on its ability to provide requested QoS. All these proposed techniques have given excellent performance in achieving this goal. But, most of these techniques have ignored the issue of Reliability in making vertical handoff decisions, wherein, the selected network to which handoff will be made should provide requested QoS for a prolonged period, and avoid frequent new handoff scenario. Frequent handoff can be expensive and inefficient for the client. Hence, the handoff decision should achieve the dual goal of suitability and reliability. In this work, a new vertical handoff scheme is proposed, which achieves the dual goal of suitability and reliability. Two probabilistic classification models namely Bayesian classification model and Sample Distribution model are designed for building the proposed vertical handoff scheme. The empirical results demonstrate the effectiveness wrt reliability and suitability of both these models in making handoff decisions.